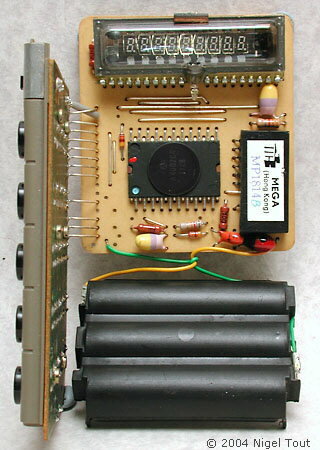 Integrated circuit - Rockwell A4002CA (in this example date coded mid-1977). 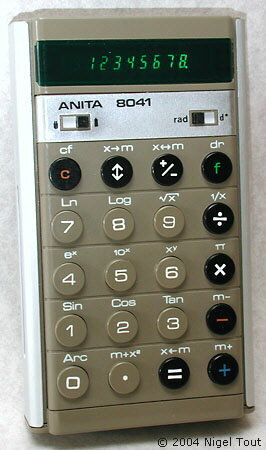 This is similar to the ANITA 841. 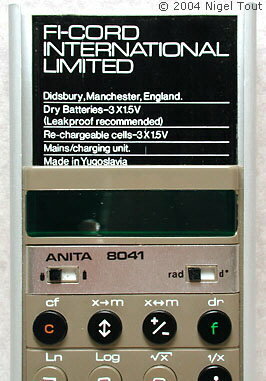 It is labeled for Fi-cord Ltd. of Didsbury, Manchester, and was made in Yugoslavia. With the case removed showing the vacuum-fluorescent display module and the Rockwell integrated circuit, in the centre.